What is important to us? 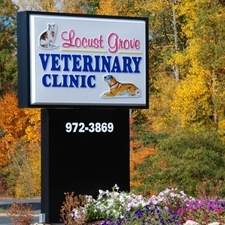 Kind, gentle, and experienced veterinary care for your pet. Our goal is to help keep your pet happy and healthy for many years. We love animals and love spending our time with them. We treat them like our own loved family pets. We know that our clients want to give their pets the best life has to offer, and we want to work with you to do just that. Our doctors have many years of experience, and our entire staff is dedicated to the best in patient & client care. Our facility is modern and comfortable. We have upated all areas and offer a wide range of pet health services. Our location is convenient to Lake of the Woods, Wilderness Shores, Somerset, Lake Wilderness, Fawn Lake and surrounding areas.